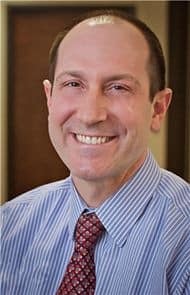 Lawrence Osman, MD, is a board-certified dermatologist and is specially trained in the latest liposuction technique using only local anesthesia. Dr. Osman was directly trained by Dr. Klein, the cosmetic surgeon who developed it. Avoiding general anesthesia eliminates a major risk associated with liposuction without compromising results. Dr. Osman earned his medical degree from the University of Southern California – Keck School of Medicine, and completed his dermatology residency in 2002. He is trained in the newest, most advanced techniques and furthers his training through continued medical education. Dr. Osman’s dermatology practice is comprehensive and includes skin cancer exams, acne treatment, and advanced injectable, laser and sculpting techniques for rejuvenation. The American Medical Association awarded Dr. Osman for his dedication to knowledge with the Physician’s Recognition Award. Readers of the Los Angeles Daily News voted Dr. Osman one of the best dermatologists in Los Angeles, and he is the recipient of a HealthBeat Elite award. Dr. Osman is recognized as a Black Diamond provider by the makers of Botox. Being meticulous, caring, and having an eye for aesthetics, Dr. Osman believes that less is often more. Dr. Osman is on faculty at the University of California in Los Angeles (UCLA). His professional memberships include the American Academy of Dermatology, the American Academy of Cosmetic Surgery, the American Society for Dermatologic Surgery, the American Society for Mohs Surgery, and the American Society for Laser Medicine and Surgery.